Currently for sale, this building appears to have last housed “Cash Converters”. What was it originally? 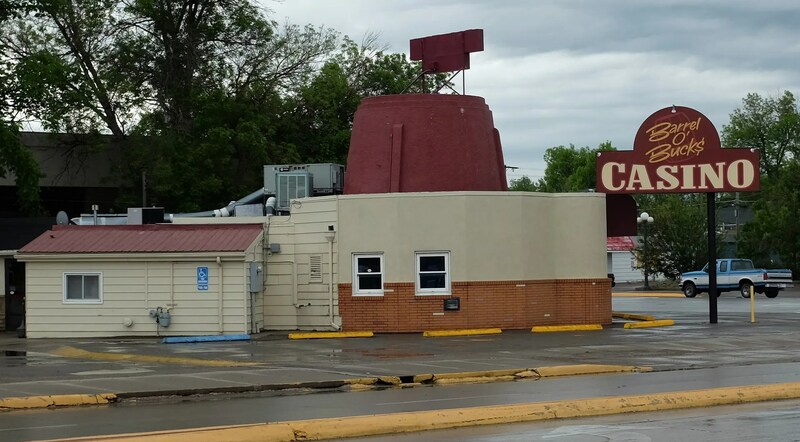 An ice cream stand? Whatever it was, the building itself has been remodeled and covered over. 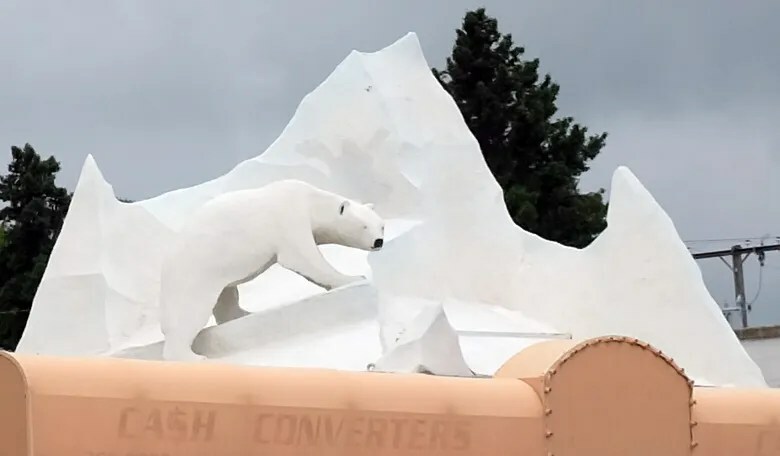 It’s surprising and fortunate that the iceberg and polar bear on top has survived. This looks like it was originally a fully barrel shaped building which was gradually added onto over the years. The question is – what was it originally? 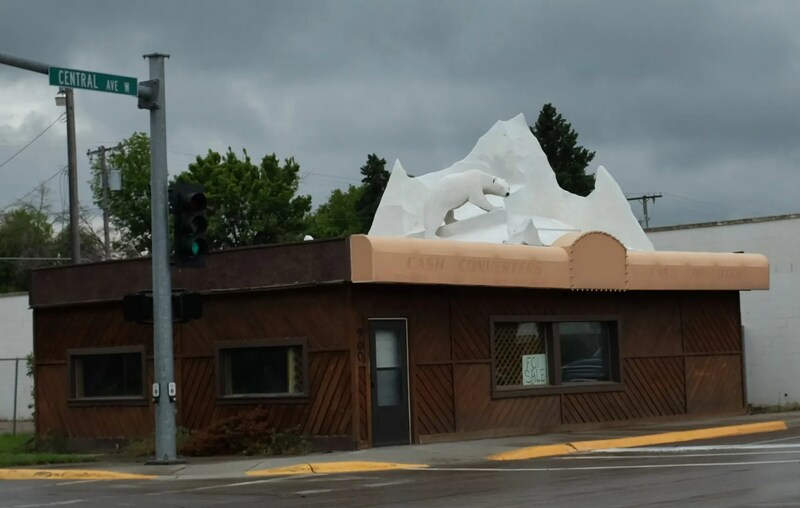 This entry was posted in Diners / roadside related and tagged 1940s, 1950s, architecture, Barrel Building, Barrel O'Bucks, Casino, Great Falls, ice cream, Montana, polar bear by Spencer Stewart. Bookmark the permalink. 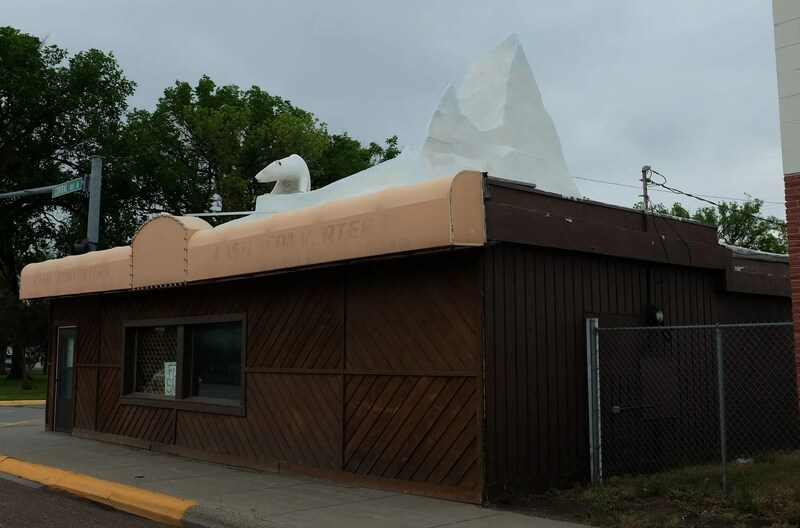 The Polar Bear Cafe was originally just that, a cafe. It was originally called The Iceberg. The Barrel of Bucks was just The Barrel in pre casino days. The building was added onto in the 1960’s?? But it WAS originally a barrel shaped buulding. It was a root beer stand. Where was this building originally, I think it was downtown. We used to eat there frequently, in the 50’s, when we’d make a trip to the big city of Great Falls, from our farm, near Power. It was originally all white and as I recall, the outside of the building was something that more resembled the lower part of the iceberg. That was more attractive, but glad the top is still there. At one point the bear was painted brown! Ugh! Thanks so much for the memories, and glad it’s now back to being a polar bear! 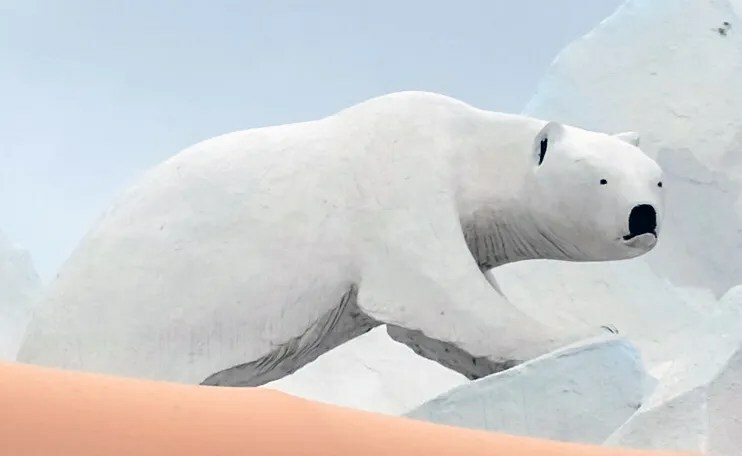 This polar bear was originally downtown, across from what was then the Medical Arts Building, on top of a cafe as someone else said. As a child I always looked at it out the window when I was in my father’s medical office. I always thought of it as “my ” polar bear. The Medical Arts Building is now condos, apparently.